MOSCOW, the Russian Federation (BulgarianMilitary.com) – The press office of the Severodvinsk-based shipbuilding company JSC PO Sevmash reported, today (18th January), that the trials of the Project 11442M Orlan heavy nuclear-powered missile cruiser Admiral Nakhimov will start in 2020. Currently, the Russian Navy’s battlecruiser is undergoing repairs and heavy upgrade at the Sevmash Shipyard, learned BulgarianMilitary.com. 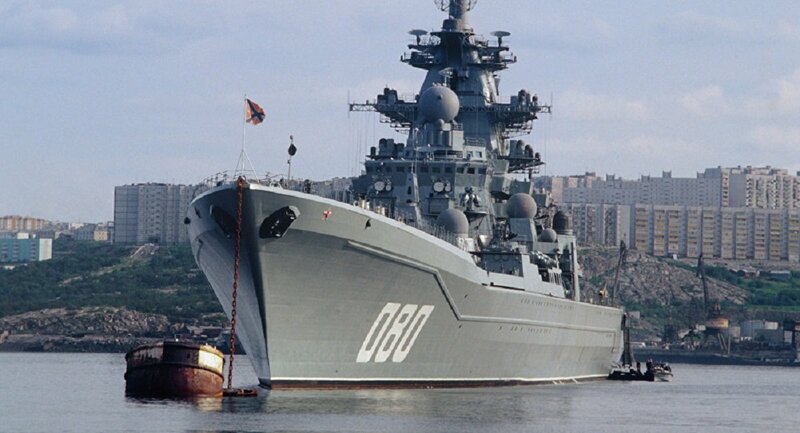 The Sevmash press office statement reads that the company has completed the work on the repair, modernization and coating of the hull structures. Now the repair of Admiral Nakhimov continues in the flooded basin. The marking work, as well as, insulating and painting works on the external casing, have been launched. The shipbuilding company plans to start conducting the trials in 2020. Currently, at the Sevmash Shipyard, two series of nuclear-powered submarines of the Project 885M Yasen-M and Project 955A Borei-A, are under construction. The nuclear-powered submarines Kazan and Knyaz Vladimir respectively have entered trials, practicing assigned missions at sea. The Project 1144 Orlan heavy nuclear-powered missile cruiser Admiral Nakhimov, the name of which before 1992 was Kalinin, was laid down on 17th May 1983, at the Baltiysky Shipyard. It floated out on 25th May 1986 and entered service with the Russia’s Navy on 30th 1988. In 2013, Russia’s government concluded a contract for repair and modernization of the warship that, in the autumn of the next year, was put into the dry dock of Sevmash. It is expected in 2020, and another ship of this project, namely the flagship cruiser of Russia’s Northern Fleet, Pyotr Veliky, to be placed into the Shipyard’s dry dock for repairs. The upgrade aims to rearm the Project 11442 cruiser with new Oniks, Kalibr cruise and Tsirkon hypersonic missiles, replacing the current Granit ones. The warship will be also equipped with advanced air defence missile, navigation, communications, life support and other systems.